Source: ARC for review from publisher - thank you! There are two sides to every summer. When seventeen-year-old Rory McShane steps off the bus in East Hampton, it's as if she's entered another universe, one populated by impossibly beautiful people wearing pressed khakis and driving expensive cars. She's signed on to be a summer errand girl for the Rules -- a wealthy family with an enormous beachfront mansion. Upon arrival, she's warned by other staff members to avoid socializing with the family, but Rory soon learns that may be easier said than done. It's no surprise that I am a huge fan of books set during the summer months. For multiple reasons, it sets the scene for some glorious stories that the majority of the time I fall pray to. This one definitely hit the mark for an engaging read with just the right amount of fluff, romance, and mystery to complete a summer book for me. Rory is your average straight A teen from Jersey who is going to spend the summer with her aunt in the Hamptons, where she's a housekeeper. The idea is for Rory to get away from her selfish mother, and her forever revolving door of boyfriends, to spend some time with her aunt in a new place. The Hamptons is very far off from Rory's world and immediately she notices the great contrast in lifestyles from her own. Isabel is the same age as Rory and the daughter of the Rules, the house where Rory will be staying for the summer and helping out as their errand girl. First impression of Isabel: stuck up, bratty, materialistic, and fake. But there's a sense of something deeper, festering below the surface -- underneath all that glitz, a girl with more substance. The story follows both girls for the summer, and as the reader you see the "upstairs" part of life while living in the Hamptons for the summer, as well as the "downstairs" part of life, where summers are spent working instead of lying by the pool. I liked this concept a lot because there's a better understanding of what each of the girls lives are like, and the story isn't being told from just one side. Rory finds herself falling for a boy who is to be off-limits. He feels so far off, that he isn't even a blip on her radar. Her attraction for this boy grows as the summer pushes forward and the tiny moments these two characters share, make you wonder - will their romance ever evolve, or will this remain just a fantasy inside Rory's head? Isabel ends up with a boy who's off-limits, too. But for all the wrong reasons. I was more drawn towards their relationship, and found myself wanting to keep reading about it when the story switched back to Rory. Isabel's character begins to change, not just because of this boy who has stolen her heart, but because of her new-found friendship with Rory. The development between these two girls started on rocky grounds, but slowly eased its way into a beautiful friendship, that felt solid and believable. Among the romances and relationships, there lies a mystery that's slowly intertwined through out the story. When it was revealed at the end, I felt a bit let down and unsure of how it worked in the story. However, I did not realize this is the first in a series to come, which makes much more sense to me now. I am hoping that this little mystery, and the few loose ends left hanging, were left that way intentionally. 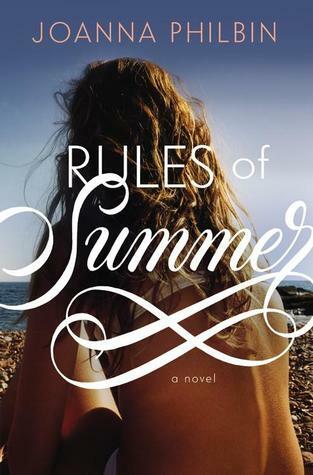 I recommend this book to anyone in search of an entertaining story for the summer, that will whisk you away to the lavish beaches of the Hamptons, and loose you among the forbidden romances and deepening relationships of what summers may bring. I agree about the mystery--I hope we learn more about it in the next book. Yay for good summer reads! You know what surprised me about this book? When the POV changed in the second chapter, I was pissed. I didn't want to read about Isobel and then that so changed as the book went on. I was kind of psyched to hear what was going on with both of them. I feel like maybe we are conditioned to not like the "mean rich girl" or something and I was already building myself up for that when I really liked BOTH OF THEM. Yay for a good book! I feel like I've been recommending this to everyone. 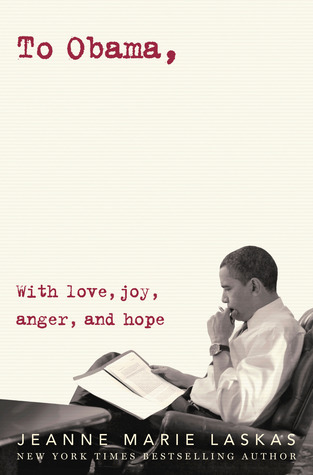 It's official: I need to read this book. I love the idea of it being told from the perspective of two girls living under vastly different circumstances within the same house. It sounds very 'Upstairs, Downstairs' and 'Downton Abbey' for a new, modern generation. This sounds like a good read for the summer! I like the fact that, as you said, it features two very different summer experiences in the Hamptons. I'm curious to see which girl I prefer when I read it! I actually started this one today, I'm maybe 30 pages in and I'm definitely not sold on it yet, but I'm hopeful. I didn't realize it was part of a series, I'm glad I know that now instead of being annoyed at the end. Also, random, but it's fresh in my mind, in the official description they describe Rory as stepping off the bus in East Hampton, but she doesn't take the bus, she takes the train! And the bitchy house manager comments on how she prefers the Jitney. This sounds great for the summer! It's one of the ones I want to read this summer because it just sounds perfect to read by the pool. Great review!